Bread, butter and chocolate just sounds like the perfect combination for any day to me. Bread pudding recipe are one of my favorite desserts to serve on any day. They do not take much time to prepare and I just pop it in the oven while we eat dinner and it is ready by dessert time. Here is a white chocolate bread pudding recipe that I am sure you will love. – Cut the butter in small cubes and set aside to get to room temperature. – In a saucepan, heat the cream until it simmers. – Place the white chocolate chips in a bowl and pour the hot cream over it. – Whisk until the chocolate melts and you get a smooth mix. – Add the sugar and whisk to dissolve. – Stir in the beaten eggs, milk and vanilla. – Beat the egg whites to soft peaks. – Gently fold the egg whites in the chocolate-cream mix. – Cut the bread in small cubes. – Toss the bread in the egg-chocolate-cream mix. 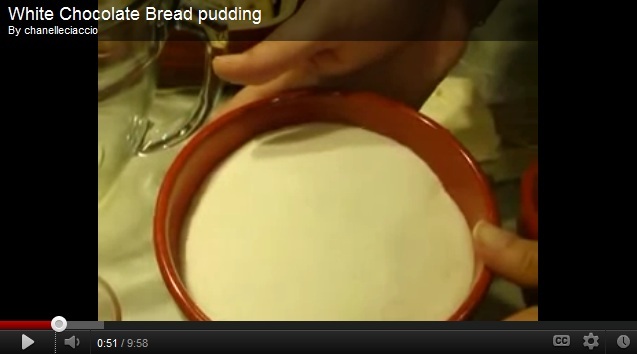 – Let it stand for 20 minutes to allow the bread to soak up the custard mix. Toss in between so that all the pieces are evenly coated. – Toss in the pecans. – Pour this mixture in a glass baking dish. – Sprinkle with cinnamon and dot with the butter cubes. – Bake the white chocolate bread pudding for about 45 minutes until the top is golden brown in color. – Remove from the oven and serve with sauce of your choice or whipped cream. – Take the sugar, water and lemon juice in saucepan and heat over low heat until the sugar dissolves. – Boil the mix until it turns caramel in color; do not stir. – Remove from the heat, stir in the cream, coffee and coffee granules and mix well. – Place the mix back on the heat and boil until the mixture thickens. – Add the vanilla, butter and salt. – Stir to get a smooth sauce. 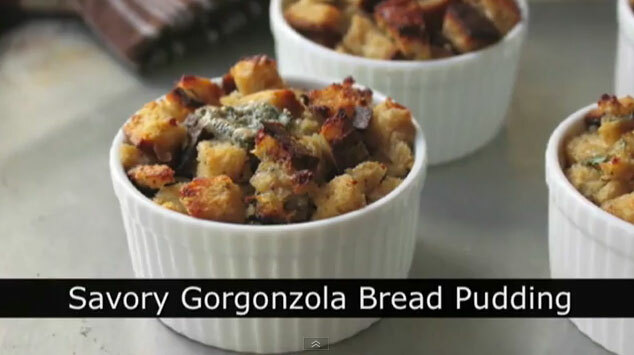 – Serve with warm white chocolate bread pudding. Gluten, according to the Merriam Webster online dictionary, is “a tenacious (not easily pulled apart) elastic protein substance especially of wheat flour that gives cohesiveness to dough”. Gluten is the sticky element of grains such as wheat barley, rye and even grass. Gluten, once separated from wheat, contains small amounts of fat, moisture and ash. This food is very low in saturated fat, cholesterol and sodium. It is also a good source of selenium, and a very good source of protein. However, gluten does not go very well for people with Coeliac Disease, or an auto-immune disease that may be genetic and causes chronic diarrhea and other bowel problems. A lot of people actually suffer from this ailment and, therefore, a lot of banana bread recipe have been concocted in their favor; most notable are gluten free banana bread recipe that consider the celiac diet but retain the value of high fiber. 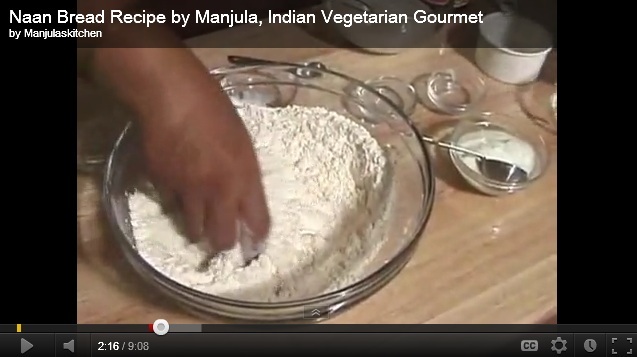 Basically, recipes of this kind contain gluten-free flour, such as rice flour. These also contain high fiber and the sticky, cohesive substance found in wheat and other glutinous grains, yet do not contain the proteins that trigger the symptoms of Coeliac Disease that hinder the absorption of nutrients by the body. This recipe is a must-try and later on must-have staple in the pantry for people diagnosed with the auto-immune disease. Kindly remember, this is still a tasty treat and all other accoutrements can still apply when serving this deliciously healthy diet food. Slathered with your choice of spread or taken alone with your favorite drink, you can continue to enjoy good health with good food. – In a large ceramic bowl, combine the flour, baking soda and salt. – In a smaller ceramic bowl, beat the eggs and then add the bananas, sugar, applesauce, oil and vanilla. – Beat with a hand mixer on medium speed. – Gradually add the dry ingredients until thoroughly mixed. – Transfer into two 8-inch loaf pans lightly coated with cooking spray. – Bake at 350°F for 30 minutes or until a toothpick inserted near the center comes out clean. – Cool for 10 minutes before removing from the pans to wire racks. This recipe yields 2 delicious loaves. 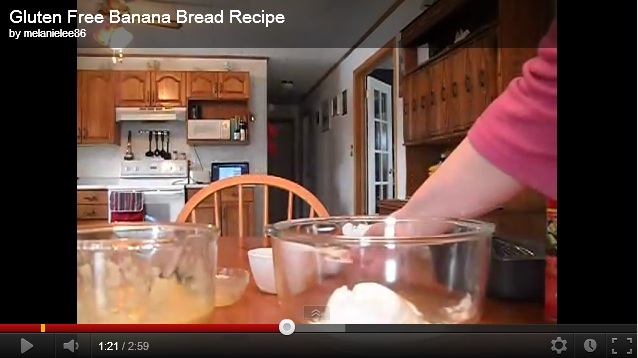 Here is one of my favorite bread recipes. I remember the days when I was struggling and money was very tight (actually, nothing has changed!) but my insatiable taste for really good food simply overwhelmed all reason; hence this Garlic Cheese Bread Recipe. The following concoction is actually just one awesome way to transform a simple French hard roll or baguette from an ordinary fare to an extraordinary crafted treat. The ingredients are very versatile and flexible. This is a wondrous combination of tangy spices and creamy luxury to forget you’re in your doldrums; the crunchy and soft combination really perks you up. But not only that… If you’re not exactly in the gloom, this bread prescription also gives your day a perfect glow and just about the right amount of comfort to proceed in the right direction. Or if you’re a normal person and you’re simply having friends over, this will definitely prove one great hors d’oeuvre. Yet I digress. As I was saying, this Cheesy Garlic Bread Recipe is quite versatile. You can interchange the ingredients with other preferred items such as the type of bread or the type of cheese; you can also increase or reduce the amounts of each item in the recipe always depending on your preference. See for yourself! – Preheat your oven to about 400 degrees. – Place slices of the baguette on an oven tray. – In a small bowl, combine the butter and garlic (or Pesto Mix). – Spread evenly on baguette slices. Be sure to lavish the spread for your utmost crunching pleasure. 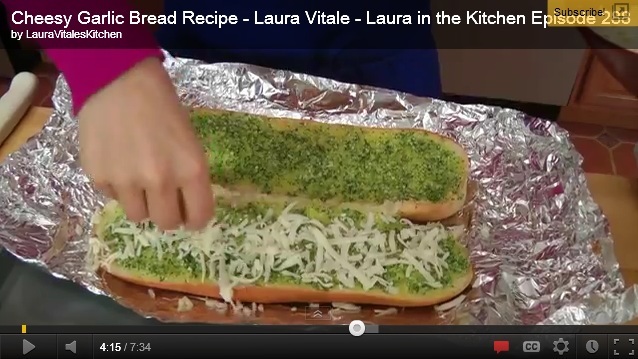 – Then, evenly sprinkle the cheese over the slices of bread and place the tray back in the oven. – Broil for about a minute or until the cheese has completed melted and shows a few golden bubble marks. – Remove from the oven and serve hot. I doubt if there’ll be any leftovers; but store any remaining slices of bread in the freezer using a zip lock bag. Bon appetit, mon cher! This is a quick banana bread recipe that you can make at home – it’s actually more of a dessert loaf than a bread, but that is what we all know it as most commonly. This is a delicious recipe and it’s quick too: the preparation time is only about 5-10 minutes depending on how quick you are, although it will still need to bake afterwards, which takes up the vast majority of the time. Unlike some banana bread recipes, you don’t need a mixer for this one; just a little bit of elbow grease will get the job done. That is what makes this recipe so quick and easy. It also only uses one mixing bowl rather than two. This recipe will yield one medium-size baking pan’s worth – the usual size you would use for banana bread. 2) Mash the bananas with butter in a large mixing bowl then add the vanilla, egg and sugar. Now, mix in the salt and baking soda, and finally the flour. 3) Pour this mixture into a greased baking pan and bake for about an hour. 4) Once you are able to poke the banana bread with a toothpick and no batter sticks to the toothpick, it is safe to say it’s all done. Sometimes this can take a bit less than an hour, sometimes a bit more, so keep an eye on this bread recipe! That’s all there is to it, I told you it was a quick banana bread recipe. Now, simply remove it from the oven and let it cool for a few moments before you dig in. Don’t be shy to share this bread recipe with your friends, either!